As I write this the sun is shining and the wind is blowing. It's 57 degrees but I also know that in three days another snow storm will be barreling down on us. Snow storm number 12... or is it 13? I have officially lost track. Thankfully this warm snap is melting away much of the snow that has been sitting for weeks and weeks. We are a zone 7 in NJ (used to be a 6 but got rezoned recently) and I am not terribly optimistic about some of my plant life. The grass looks very unhappy. My bushes and plants are broken and droopy. The snow and ice have played havoc on our yard. This winter has cost us plants, bushes, wear and tear on the patio furniture, a couple of skinned knees from slipping (mostly Grace and Jack) and now my van. 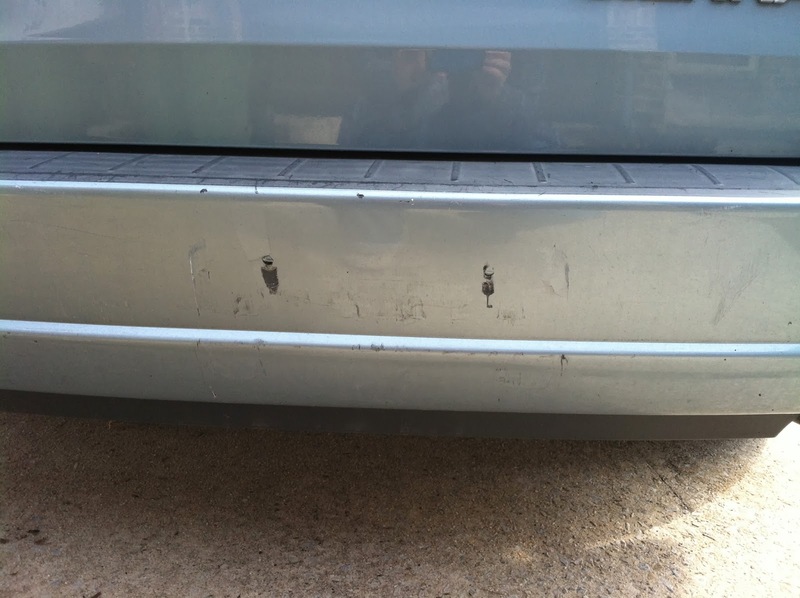 My poor van got rear ended the other day when I was on the way to the grocery store. Poor young girl must have slid on the black ice right into me. Everyone was fine. But more annoyance and frustration brought about by this ugly weather. Come on Spring. We're waiting.